3. “Cookie” refers to a small text file placed on your computer by Sincere Property Services when you visit this Website. 4. The term ‘Sincere Property Services’ or ‘us’ or ‘we’ refers to the owner of the website whose registered office is 262 Hoe Street, London E17 3AX. Our company registration number is XXXXXXX, in England & Wales. 7. “Website” refers to the site that you are currently using (www.sincerepropertyservices.co.uk). 1. The Content of this Website is for general information and personal use only. It is subject to change without notice. 2. Neither we nor any third parties provide any warranty or guarantee as to the accuracy, timeliness, performance, completeness or suitability of the information and materials found or offered on this Website for any particular purpose. 3. You acknowledge that such information and materials may contain inaccuracies or errors and we expressly exclude liability for any such inaccuracies or errors to the fullest extent permitted by law. Any reliance you place on such information is therefore strictly at your own risk. 4. In no event will Sincere Property Services be liable for any loss or damage, including –without limitation – indirect or consequential loss or damage, or any loss or damage whatsoever arising from loss of data or profits arising out of, or in connection with, the use of this Website. 5. All properties advertised on the Website are featured in good faith. 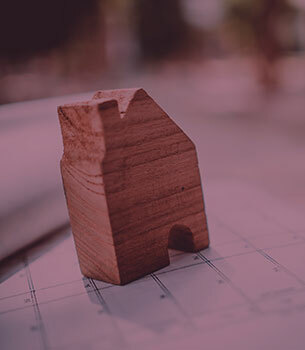 While we endeavour to update the Website regularly, we do not accept responsibility for properties featured with incorrect details or that have been let or sold prior to any enquiry being made. Do check directly with the office that all details given online remain valid and that the property is still available. 6. We make every effort to ensure the Website is live and functioning fully every day. However, occasional technical issues beyond our control may adversely impact the smooth running of the site. Sincere Property Services takes no responsibility for such incidents, and will not be liable should the Website be temporarily unavailable. 7. The advertising on the site does not constitute any part of an offer or contract. 8. Any statements made in advertising should not be treated as statements or representations of fact. a. At all times, you are encouraged to carry out your own checks directly or via your legal representative to satisfy yourself as to the suitability of any property or other items advertised on the Website before making a legal and financial commitment. b. Sincere Property Services cannot be held responsible for any loss of deposits or other sums paid due to insufficient research or other forms of negligent enquiry. 9. All data collected via this site remains confidential and will only be used by Sincere Property Services and its service providers to assist you with your enquiry and/or for marketing purposes. b. You also have the right to access any data we hold about you. 11. By completing our Registration or Enquiry Forms, or by submitting a request for further information it is understood that you accept these terms and conditions. 12. All content and design of this website, which includes, but is not limited to, the design, layout, look, appearance and graphics is protected by copyright, trademarks and other intellectual property rights and is the property of © Sincere Property Services or issued under license from third party copyright owners. 13. All trademarks reproduced in this website, which are not the property of, or licensed to the operator, are acknowledged on the website. 14. You may print or download such material in electronic form on your local hard drive for your personal and non-commercial use. You may not alter or otherwise make any changes to any material that you print or download including, without limitation, removing any copyright or proprietary notices. 15. All other uses are prohibited including, without limitation, distributing, reproducing, modifying, copying or using for commercial purposes any of the materials or contents of this site. The license to copy also does not permit incorporation of the content or any part of the website in any other work or publication in any form whatsoever. 16. Unauthorised use of this Website may give rise to a claim for damages and/or be a criminal offence. 17. From time-to-time, this Website may also include links to other websites. These links are provided for your convenience to enable you to source further relevant information. They do not signify that we endorse the website(s), nor do we have any responsibility for their content. 18. It is your responsibility to read and familiarise yourself with our terms and conditions. 19. Your use of this Website and any dispute arising out of such use of the Website is subject to the laws of England and Wales.